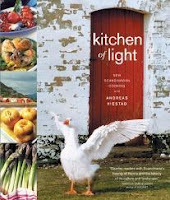 I've bought books on amazon.co.uk in the past, so I get emails when new cookbooks come out. Usually I can't stand getting emails from anyone trying to sell me anything, but I like getting these, because they are always books or chefs I haven't necessarily heard of, and I'm always so pleased with whatever I order. 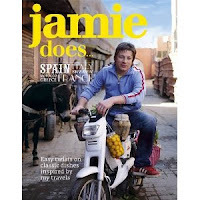 I just saw that Jamie Oliver is coming out with a book on April 15, inspired by his travels in Europe. I really love Jamie Oliver (who doesn't?) and I like the way he approaches travel (his magazine showcases alot of it), so I bet it will be good. I LOOOVE Tessa Kiros -- Her other book "Apples for Jam" which I see you have on your cookbook shelf doesn't inspire travel but is great for cooking with kids!